Planetary scientists have been puzzling for the past couple of years over what could be producing methane gas detected in Mars' thin atmosphere. Methane molecules are easily blown apart by ultraviolet light from the Sun, so any methane around must have been released recently. The presence of methane has triggered a hot debate in the Mars science community: is it a sign of microbial life or geology? The answer might come from NASA's Mars Science Laboratory rover, called Curiosity, scheduled to land on Mars in August 2012, carrying with it the Sample Analysis at Mars (SAM) suite, which will measure a multitude of trace constituents and isotopes from gas and solid samples. Two of the SAM instruments, the tunable laser spectrometer and the quadrupole mass spectrometer, could potentially detect a whiff of methane – at the 1 part per billion level or lower – in the air around the rover landing site at Gale Crater. Observations over the last decade suggest that methane clouds form briefly over Mars during the summer months. The discovery has left many scientists scratching their heads, since it doesn't fit into models of the martian atmosphere. 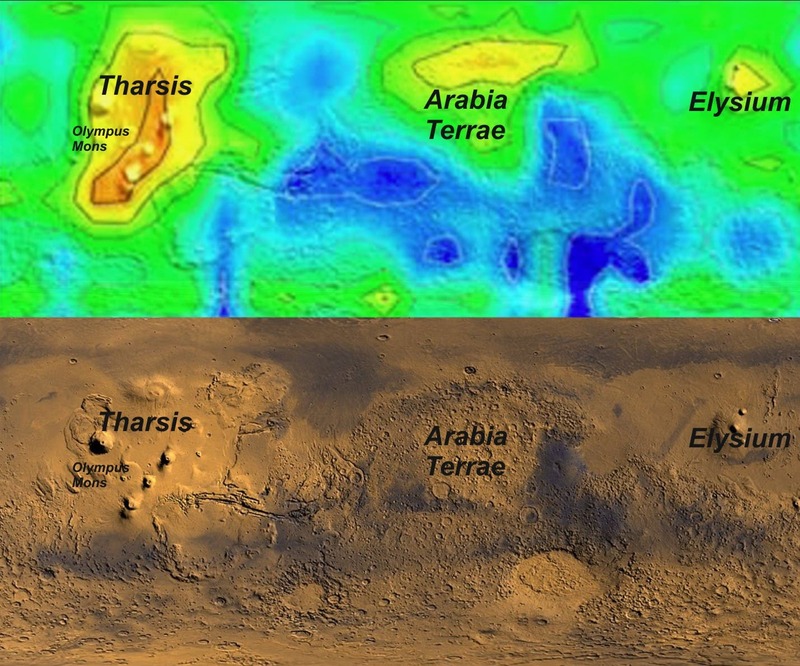 The image above shows a map of methane concentrations in Autumn (first martian year observed) overlayed on true color map of Mars. "What we say is that the evidence is not nearly strong enough for us to suspend our trust in the known chemical behavior of methane," he said. "We stand by our results," said Mumma, who leads one of the groups that made the methane observations. "True, the measurement is difficult, but it is not impossible." Mumma thinks the paper by Zahnle and his coauthors has been "a disservice," so he plans to write a rebuttal. "The community needs to understand the weakness of this argument," he added. "Though the details of Zahnle et al’s theoretical arguments are debatable, their basic idea of the implausibility of large abundance and short lifetime of methane is fairly sound," Atreya says. Mumma is aware that his observations do not mesh with the established picture of Mars. "But a measurement is a measurement," he emphasized. The image above is map of methane concentrations in Autumn (first martian year observed) overlayed on true colour map of Mars created by NASA/Università del Salento.